A rich grass land with large grain fields and wooded areas. You will find hills, rivers and lakes. Towns can grow very large. A North-American style landscape, with tall mountains covered in snow, and forested areas. Towns in snowy areas require a supply of food before they are likely to expand. A South-American style landscape, with rain forest areas and desert areas. Desert towns require a supply of water and food before they are likely to expand. A colorful mix of toy-like styles; vehicles with faces; toy like buildings; wacky industries and towns with silly names. It's 1950, you've been loaned $200,000 and you've got 100 years to prove yourself a Transport Tycoon. The game presents you with a choice of four vast game worlds (each of which will randomly generate a limitless number of gameplay scenario's) made up of numerous small towns and raw material resources. If you'd prefer, you can even create your own game scenarios using the world editor. As a budding tycoon you've been loaned a large amount of money and you've got to prove yourself; to set the wheels in motion to become the wealthiest tycoon in the world. Matched against a batch of ruthless rivals, you'll have to act quickly; to build the key routes that will rake in the cash. Build stations, airports, docks and a linking road, rail, air and ship network that will move passengers, mail or goods to the most lucrative destination. As the years roll by you'll have the chance to buy more advanced and faster vehicles and vessels; if you can afford them! You'll build stations, docks, airports and make money by connecting areas requiring transport services. You'll construct complex road - rail -air - sea networks and experience cut-throat rivalry as you try to grab your piece of the action. You'll deal with characteristic town councils that express individual and varying attitudes, and cope with disasters such as mine collapses, bus, lorry and aircraft malfunctions. You can even takeover other companies and fund industries which will bring increased profits for your transportation network. This is your chance to set the wheels in motion, to become the best, to be the Tycoon. 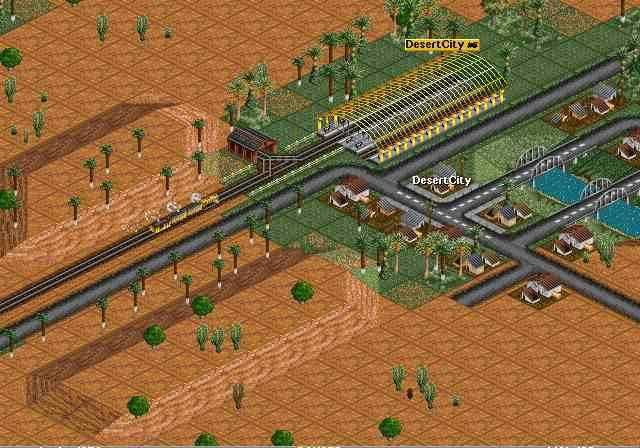 Four different worlds, or climates, are available to play in Transport Tycoon Deluxe. They are Temperate, Sub-Arctic, Sub-Tropical and Toyland. Each of these climates has its own properties. In each climate, or world, you will find different industries which suit that particular zone. Tactics which produce profit in one world might not have the same result in another. The first version of TT was release in Oct. 1994. It had a few problems with it and wasn't 100% compatible with Sound and Video cards of the day. The release was on floppy disks it only took up 4 MB of drive space. In Feb. 1995 there came an update with bug fixes. An important release was in March 1995. 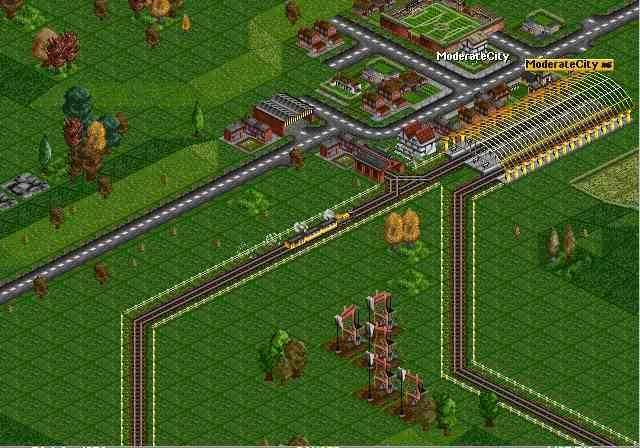 This was a version with a "World Editor"
Then, somewhere in September 1995 there came Transport Tycoon DeLuxe TTDL version 2.0 with lots of new items such as all new trains technologies as Maglev and Monorail and with three new climates. There were new industries for these new climates. In the middle of 1999 the TT DeLuxe for Win 9x was available. Using DirectX technology this originally DOS game has now been brought kicking and screaming into the Windows age. You may also look for Tansport Tycoon on my Ebay page. They have often 10 to 20 offers of Transport Tycoon games.